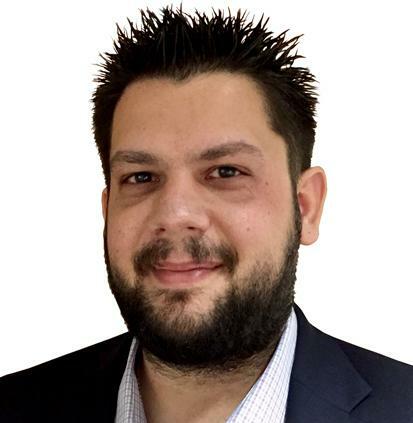 Panagiotis (Panos) Kintis has been selected to participate as a DARPA Riser in D60, DARPA’s 60th anniversary symposium. D60 will take place September 5-7, 2018 in National Harbor, Maryland. Kintis is one of 50 early career engineers and scientists chosen as a DARPA Riser this year. They are selected by DARPA program managers as up-and-coming standouts in their fields, capable of discovering and leveraging innovative opportunities for technological surprise – the heart of DARPA’s national security mission. Kintis is a computer science Ph.D. student and data privacy researcher in the Astrolavos Lab at Georgia Tech, where he is advised by Manos Antonakakis, an assistant professor in the School of Electrical and Computer Engineering. In the context of cyberattack attribution, Kintis and his colleagues have been studying the use of domain names that include well known “trademarks" in them. For example, one can register a domain name like secure-gatech[. ]com and then attempt to trick users into providing their login credentials. These domain names are known as combosquatting domains, and Kintis and his team have built systems that detect them and identify their intended use. More information can be found in his team’s paper — https://arxiv.org/pdf/1708.08519.pdf — that was presented at the 2017 ACM Conference on Computer and Communications Security, held last fall in Dallas, Texas. D60 provides attendees with the opportunity to engage with up-and-coming innovators, along with some of today’s most creative and accomplished scientists and technologists, as they continue to produce breakthrough technologies, capabilities, and ideas. By sharing the agency's record of innovative achievements over the past 60 years, DARPA aims to inspire attendees to explore future technologies, their potential application to tomorrow’s technical and societal challenges, and the dilemmas those applications may engender.